B.K.S. Iyengar was the founder of the style of yoga known as "Iyengar Yoga" and was considered one of the foremost yoga teachers in the world. He was the author of many books on yoga practice and philosophy including Light on Yoga, Light on Pranayama, Light on the Yoga Sutras of Patanjali, and Light on Life. Iyengar was one of the earliest students of Tirumalai Krishnamacharya, who is often referred to as "the father of modern yoga". The Indian government awarded Iyengar the Padma Shri in 1991, the Padma Bhushan in 2002 and the Padma Vibhushan in 2014. 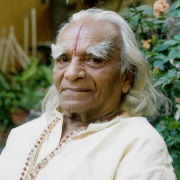 In 2004, Iyengar was named one of the 100 most influential people in the world by Time magazine.